Life+Style Photography is what we call our own signature blend of Editorial/Fashion, Fine Art and Documentary styles. Our goal is always to deliver images that tell a story... that say something meaningful about you, your family, your friends and your special day. For this you can expect around 30% of the day to be posed directed and around 70% candid. WHAT IS YOUR APPROACH ON THE WEDDING DAY? 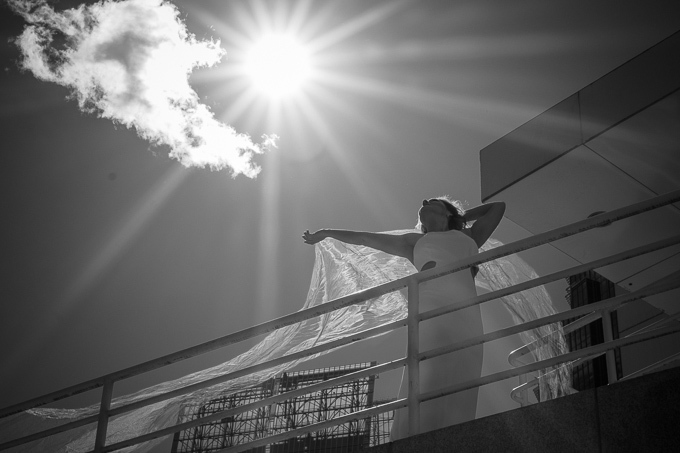 Throughout most of your wedding day we shoot in an unobtrusive documentary style. We truly want to capture the story of your day, including all of the real emotion behind it. We feel that's best accomplished by fading into the background with perhaps some occasional guidance to put you in the most flattering light. Capturing your family and friends enjoying themselves is also an important storytelling component. Couples spend a lot of time picking out small but special details of their wedding day as well... so we make sure to capture all of it, whether it's your flowers, shoes, centerpieces or a special part of your ceremony. The candid nature of the majority of our coverage is the LIFE side of Life+Style Photography equation. We also love to capture beautiful artistic portraits of the bride & groom. In other words, we won't ask you to pose and say "cheese" while cutting the cake, but we will ask for about an hour with the bride & groom alone so that we can focus on creating gorgeous creative images. This is the STYLE side of DESI Life+Style Photography. WHAT IS YOUR LOCAL COVERAGE AREA? DO YOU TRAVEL? Our typical coverage area is within a 35-mile radius of Washington DC. We love to travel and will go anywhere in the world for weddings with no added costs other than travel expenses. ARE THERE LIMITS ON COVERAGE TIME OR IMAGES TAKEN? We put together a custom collection for each of our clients. We will make sure you get the time you want and that we need to tell your wedding story. There is never a limit on images taken. The earlier the better! Seriously, you can book us anytime as long as your date is still available. Our advice is to secure your venue and date, then your photographer. A wedding contract must be signed and Booking Fee received prior to us holding your date. Our clients generally book us an average of 9-12 months before their wedding date, but don't hesitate to contact us to check our availability. Our Life+Style Photography approach to weddings is always the same, however we can offer a couple different shooting and post-processing styles based upon your wishes. Some prefer photographs that are light, airy, desaturated and focused on beautiful natural light. Others prefer photos that are more vibrant, colorful and dramatic - emphasizing the contrast between light & shadows. During our pre-wedding consultation, we'll ascertain the style you like best and make it happen both in capture and post-production. DESI Studios is a full-service wedding photography studio which means we won't just hand you a disc of images or a set of unedited proofs. We offer all of the products couples and their families would want, from photo bridal announcements/save the dates to photographic Thank You cards and everything in between. Our specialty is producing DESI Signature Fine Art Books (which will likely be the first heirloom for your new family) and DESI Signature Gallery Prints (which can be some of the first custom art pieces for the walls of your new home together). WHY ARE YOU WEDDING PHOTOGRAPHERS? We photograph weddings because we enjoy being part of one of the most joyful celebratory experiences of people's lives. We are obsessed with the power of story. We are storytellers at heart and weddings are one of life's greatest stories. We love to capture special moments and craft a story through the medium of imagery that will be cherished throughout your lifetime and beyond. We also love creating art. There is nothing like taking the inherent beauty of the love between two people and making it even more memorable through our creativity.